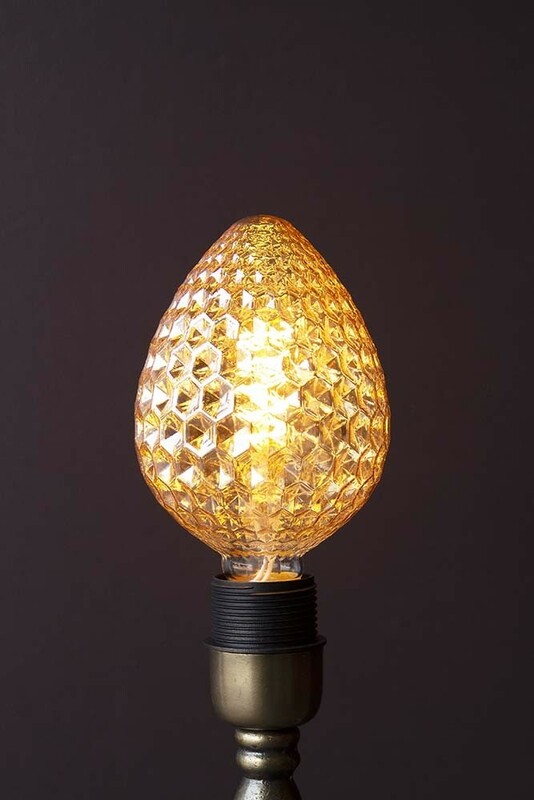 A decorative amber light bulb with honeycomb detailing, this light source will illuminate your home in style! 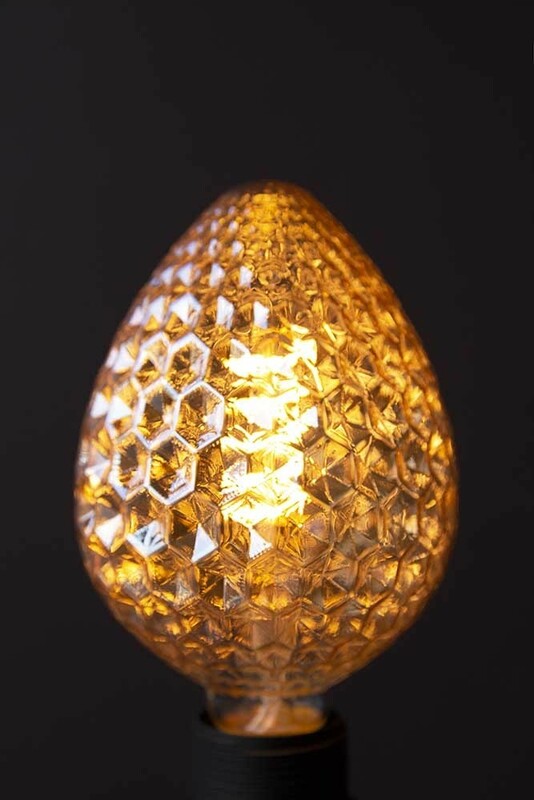 Made from glass, the Honeycomb Light Bulb measures 16cm in diameter and is suitable for E27 fittings. The LED lightbulb has a maximum wattage of 4W. At Rockett St George it is our belief that even useful things such as light bulbs should be beautiful! Your home should be an escape and sanctuary away from the demands of modern life and so we think that it’s important to surround yourself with the things you love… even beautiful light bulbs. 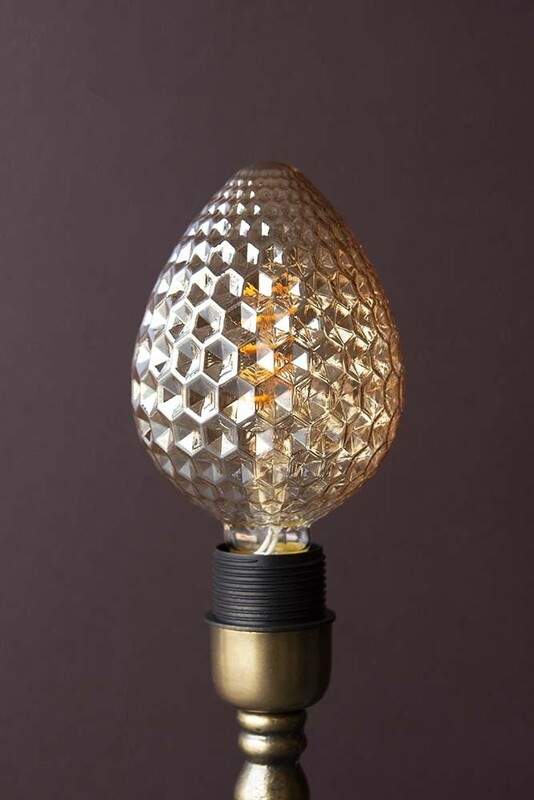 A unique light bulb the Amber Honeycomb detailing light bulb is certainly beautiful and will omit a warming tinted amber glow in the home. We personally think that this will make this light bulb a particularly great choice for your table lamps, wall lights and floor lamps in your bedrooms and living spaces. Spaces which are typically areas that you relax in.